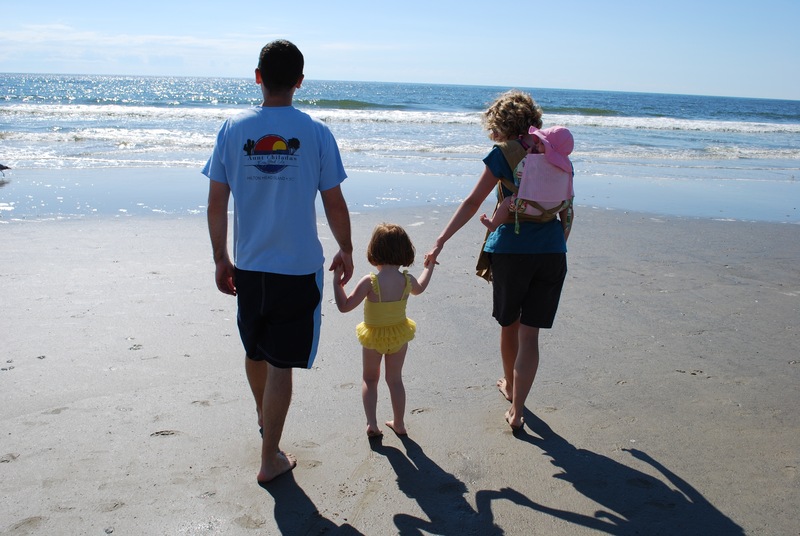 This is a picture of my family – my husband, my then 4 year old daughter, my then 6 month old daughter, and me. We were on the beach in Ocean City, New Jersey. We were taking a walk on a gorgeous day in late August. It was warm so I was wearing the baby on my back in a mei tai. Babywearing was by far the best way to enjoy the day as a family! My six month old obviously wasn’t walking, and I didn’t want to be stuck with her in the house or in a baby tent on the sand. By wearing her I was able to walk and play on the beach with my husband and older daughter. It also allowed the baby to safely and comfortably enjoy the sights and sounds on the beach.